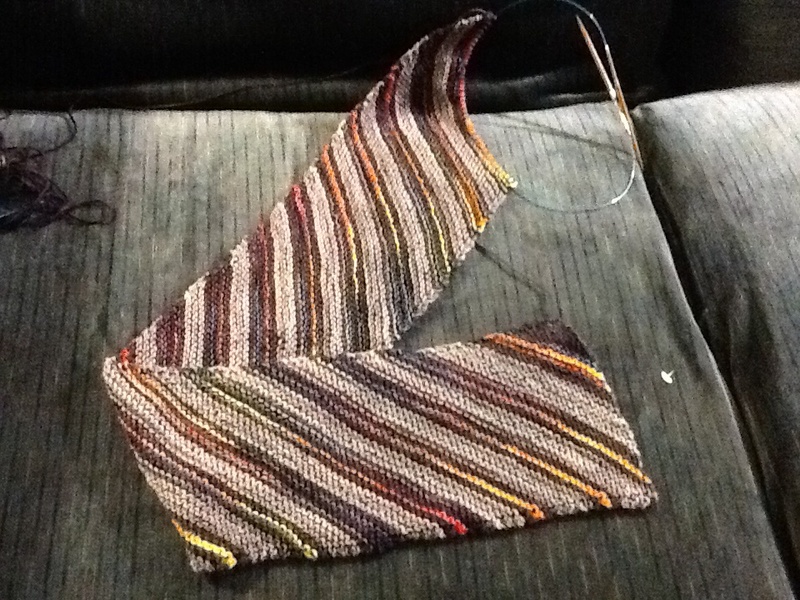 I am dividing my time between two projects. I love this colorway of yarn! 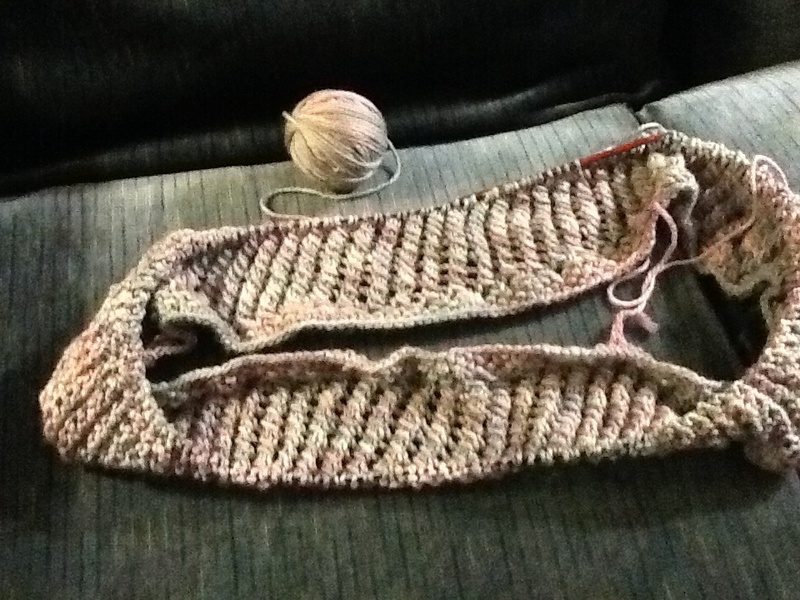 It is sock-weight, and the pattern is straight garter stitch. I am having fun watching the bright yellow inch across the stripes. This pattern uses yarn-overs and slipped stitches to create a lacy effect. I have been trying to alternate between these two projects, keeping them both in the car for my wait in the parent-pick-up lane at my daughter’s school. The Frozen cowl is a gift, so that has a deadline.